There are few certainties about the disruptive digital future for film, but at least there has been agreement in recent times that change is inevitable, permanent and will sweep the whole industry along with it. Business models would emerge, recalcitrant distributors and exhibitors would take the plunge and our attention would then be forced to focus on the mundanities of making money and finding audiences. But last week's Screen International Digital Cinema conference picked up on a sense of unease that has been building in recent months that the switchover may not only kill smaller independent theatres but might cause a rupture in a business that has always revolved around a single standard. A clear fragmentation between haves and have-nots in the D-cinema switchover now looks likely. At one end, the studios seem to have their ducks in a row, including a now-established Digital Cinema Initiative standard that enshrines quality and security criteria that some had criticised as top heavy. The studios are producing an ever greater amount of content in digital formats, including 3D, which has caught the imagination of many of the bigger exhibitors. The picture looks good enough in fact that four of the majors are set to announce in the next couple of weeks a $1bn financing agreement that will equip more than 15,000 US screens. At the other end of the scale, however, the finances look far less clear. Deals based on the virtual print fee (VPF) model remain unsigned. Even those with VPF deals on the table accept there are problems for smaller cinemas. Michael Karagosian, president of Mkpe Consulting and one of the most experienced voices in the field, said he believed the costs of purchasing and maintaining equipment did not match the potential benefits. It is hard to see a way out for smaller cinemas, given that national governments are lining up to say they cannot pay, Europe looks a distant rescue hope and the bank lending environment is likely to become tougher. 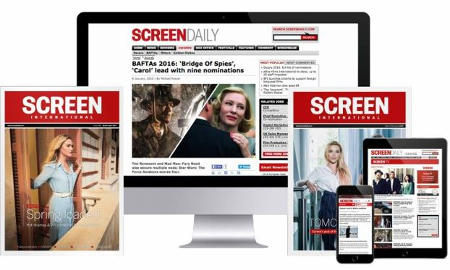 The UK is an interesting case in point because it stuck its neck out at an early stage with the creation of the UK Film Council's digital screen network. Yet now there seems to be a real risk some of the core aims of that policy might unravel. Stewart Till, chairman of the UK Film Council (Ukfc), said: 'Our prime motive was to get more choice in cinemas.' But that motive looks to be under real threat with no business model in place. Peter Buckingham, head of exhibition and distribution at the Ukfc, proposed a new approach, which he called 'mutuality'. The idea is that because the industry as a whole has a vested interest in taking everyone along, there must be a wider collaborative response. At the core of the idea is a not-for-profit special-purpose vehicle that would do the financing with contributions from the whole business. The situation is mirrored elsewhere in Europe. Claude-Eric Poiroux, general director of Europa Cinemas, told Screen he feared that while the big and medium-sized chains would be fine, a large number at the bottom would be endangered. 'What I don't want to see is a breakdown in solidarity between these three levels of cinema. What 35mm succeeded in doing was bringing about a situation where we all lived happily together, each at our own level. It equalised things at a technical level for decades. Additional reporting by Audrey Ward and Eleanor Kenny.